Ryan & Michael's Wedding, a photo by Amy the Nurse on Flickr. Beautiful bun up-do for long hair. with fresh flowers. 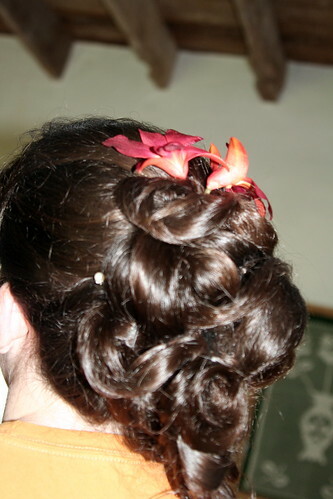 Bride hair ideas. Hairstyles for brides.